1. I printed the Image from A Day For Daisy (named Dragon Egg) then coloring the Image with Akhasiya SAI watercolor marker. 2. I then took my old DP and added on the card stock. 3. I use circle DIES and die cut the white paper and I added some sponge background with brown Distress Ink and mini Stencil. 4. 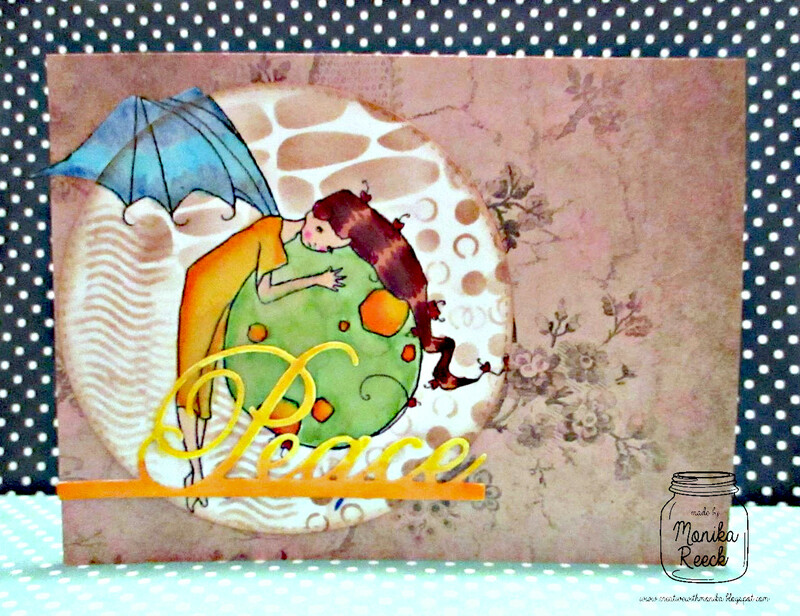 I got the sentiment from my lovely friend Joice and I colored with watercolor in yellow and orange on it. 5. Adhere all on the DP that I already I added to the Cardstock. 1. 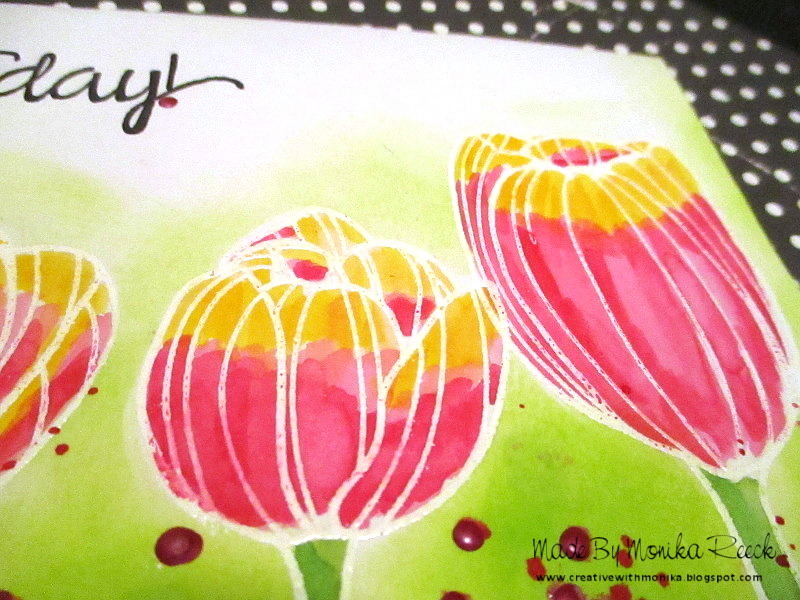 I stamped the tulips and then embossing it with white embossing powder. I then made this mask to masking the three flowers. 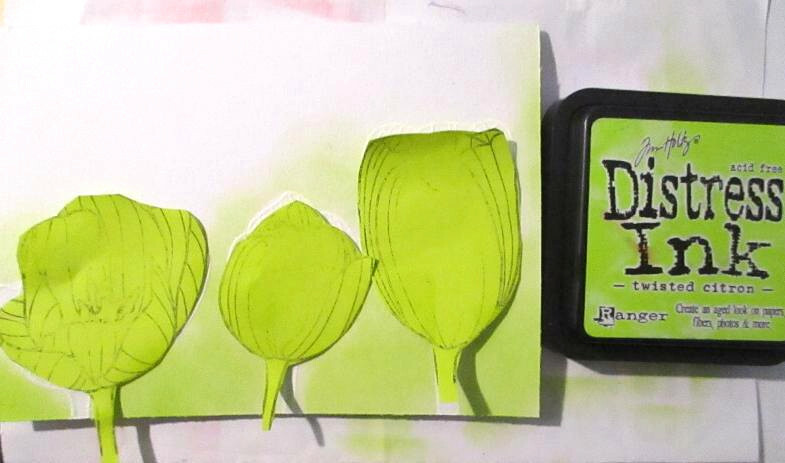 I then added the distress Ink in green as the base of the flowers. 2. I look at the Google and found tulips with yellow and red color, then I started to coloring my Image with Kuretake Ganzai Tambi watercolor. I try to make gradation only with one red color by adding much water in some area. 4. The sentiment is PTI I stamped with Archival Black Ink. 6. 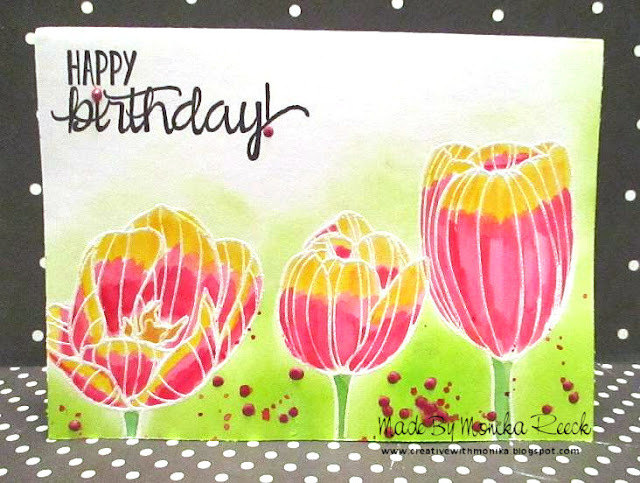 This card was fast to made also A CAS card and I really love to coloring this beautiful Tulips Image. The dragon image is new to me, I think it’s gorgeoues and especially love the way you colored her hair. The DP complements the image beautifully. As for your watercolored flowers they’re lovely and artistic in style. Great job! two marvelous cards Monika. 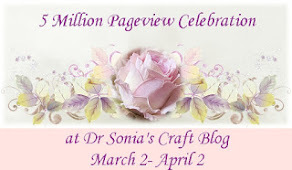 thanks for all the lovely comments on my blog. I appreciate your visits. Wow, both of these cards are absolutely stunning Monika! 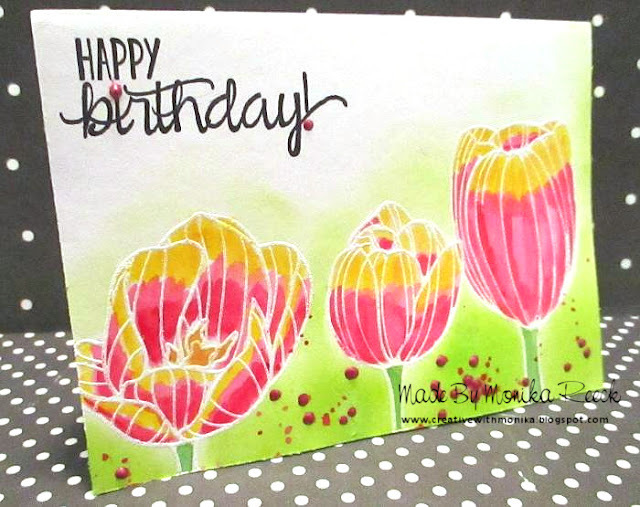 Love your amazing cards...your masking is stunning, just love those pretty pink tulips! 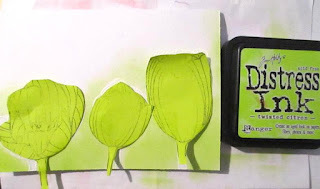 Monika, it's always a pleasure to visit your blog your work is always so inspirational. These tulips are just stunning! So glad you joined us at 613 Avenue Create. First, love the colors..so spring! 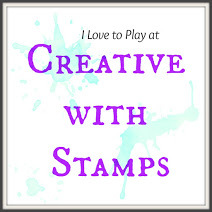 Also love the dimension you created with the colors, embossing and splatter. 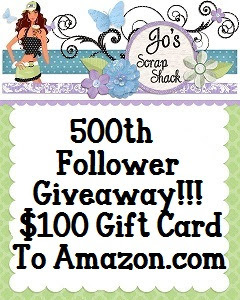 Sweet card and thanks for playing along with the challenge this week over at The Paper Players! 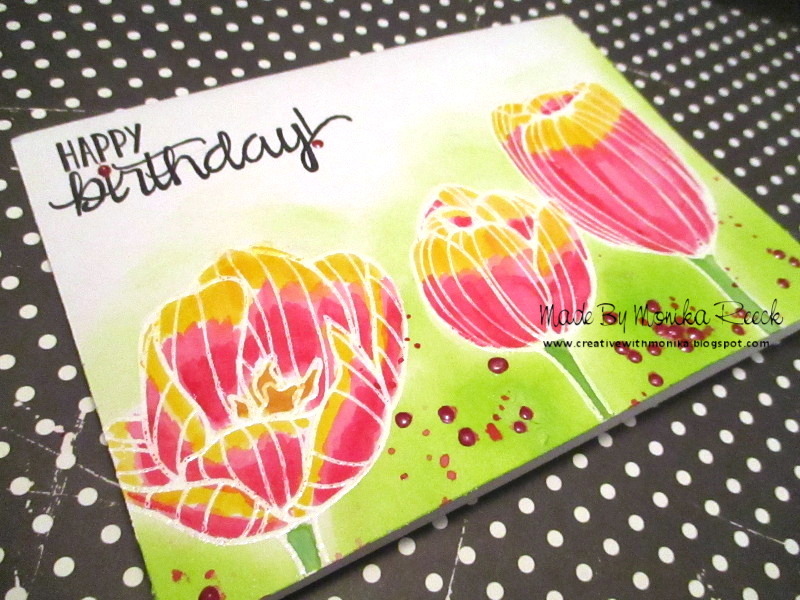 Beautiful watercolored card! Thank you for joining us at CFC! Beautiful cards Monika! I love your watercolouring of the tulips. Thanks for joining us at Less is More. Your birthday card is just perfect! I love the image and I would use it often, as well! Very nice techniques, as always. Thanks for sharing with us at 613 Avenue Create Challenge! Thanks for brighten my day and visited my blog! Your cards are always so beautiful! Love the fantasy theme on the first one and I especially love the Tulips, so beautiful coloring dear! These are both stunning Monika! I love the first image and WOW, your tulip card is so beautiful, I love the colors! A beautiful one layer with great coloring! 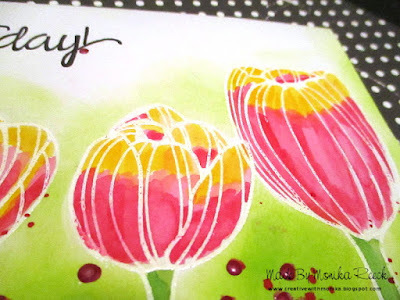 I love these tulip images, they are on my wishlist... The large size is very appealing to the eye. And nothing wrong in your splatters by the way! Thanks for joining us at Less Is More! Wow!! What lovely cards. I especially LOVE the tulip one. Just gorgeous! !